A lot my clients tell me that many of their problems disappear the second I get close to their computers. That got me thinking…what if I had a little version of myself that I could sell them, that would sit by their computer all the time and keep problems away? Other than the obvious silliness of the idea, I found a few apps that could help me create a virtual bobble head, and even a printable paper craft of my likeness. 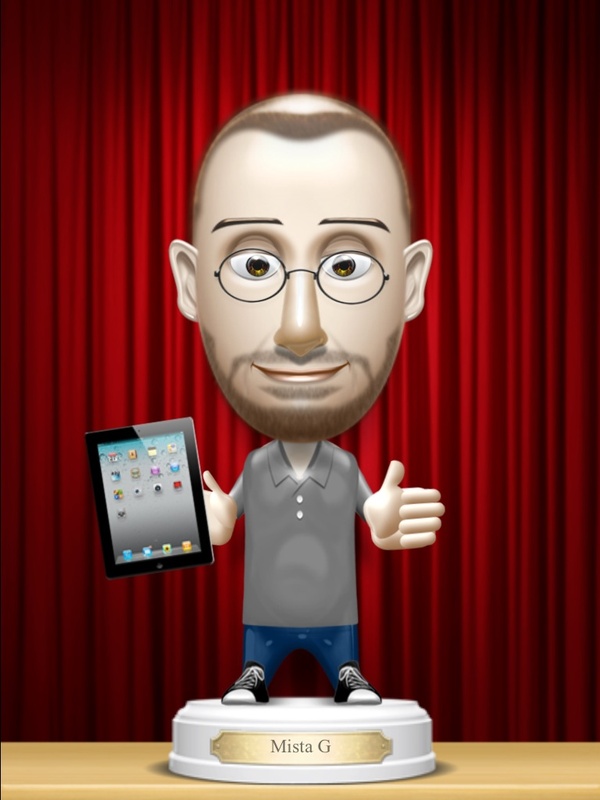 The first app is called Bobbleshop, and lets you create an animated bobble head with tons of different details, and lets you tweak the look with different eyes, ears, and other face details. I’d love to have a real version of this on the dashboard of my car. Click the image for a larger version. 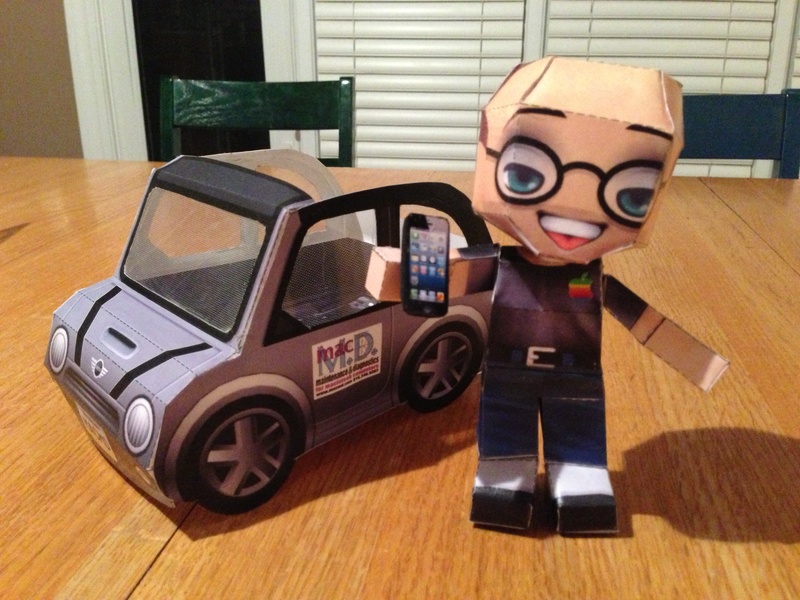 The next app lets you create and print out a custom paper craft of your avatar. You then cut out the model, fold and glue it together. It’s called PaperChibi. Before I printed out the paper me and a paper version of my car, I used my remedial Photoshop skills to add some details such as the MACMD license plate and the tiny iPhone. Click the image for a larger version. This entry was posted on Friday, April 12th, 2013 at 8:43 am	and is filed under Uncategorized. You can follow any responses to this entry through the RSS 2.0 feed. You can leave a response, or trackback from your own site.